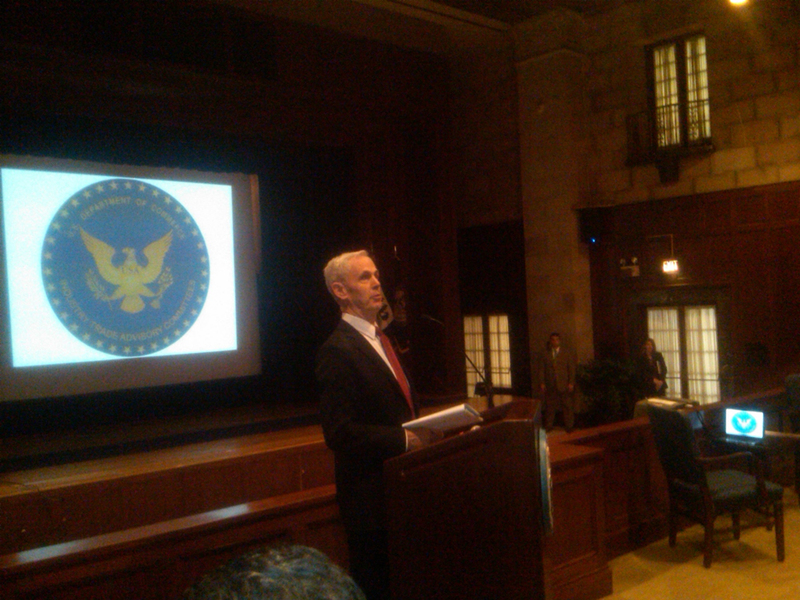 Earlier today, Secretary John Bryson addressed the advisers of the Industry Trade Advisory Committees (ITACs) at a quarterly plenary session at the Department of Commerce. The Secretary laid out his priorities in manufacturing, trade and investment. The ITACs are comprised of U.S. business leaders who assist the Department of Commerce and the Office of the U.S. Trade Representative with trade policy. Secretary Bryson was joined by U.S. Trade Ambassador Ron Kirk and 16 of the ITAC committees to discuss the importance of new and upcoming trade initiatives. This meeting takes place just weeks after the 2nd anniversary of President Obama’s National Export Initiative. The work of the ITACs is helping to build on the all-time record of $2.1 trillion in U.S. exports last year. Export-supported jobs also increased by 1.2 million from 2009 to 2011. Secretary Bryson praised the advisers for their work on the U.S.-Korea Trade Agreement, which recently went into effect. This agreement dropped tariff rates to zero on about 80 percent of U.S. goods exported to Korea. Secretary Bryson also thanked the ITACs for their continued work on efforts such as the Trans-Pacific Partnership. The Secretary also discussed the importance of advancing America’s bilateral relationships through strong and balanced growth in areas such as trade and investment, and cited his recent trade mission to India as an example of this.